Why an interviewer wants to tell you why you were rejected, but can’t. 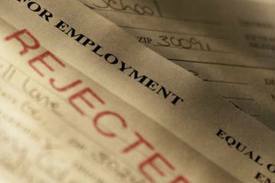 Have you ever wondered why you didn’t get the job? Have you ever been in the interview and known you weren’t going to be chosen? Have you ever thought you nailed an interview only to find out you didn’t? Well join the club; we have jackets, t-shirts, and hats. In a perfect world, we’d get the feedback we so desperately need to grow, develop and do better; however, in the world we live in, it just doesn’t happen. In my field, I work with literally hundreds of employers. Some will give me a call after one of my students has finished an interview to give me feedback. What they can do better, differently, more professionally. This is, indeed, rare. Unfortunately, in today’s employment climate, there is such a fear that if you provide feedback, that information can in turn be used against you. Human Resource professionals have to be part recruiter, interviewer, counselor and lawyer. What they are and are not allowed to share is so limited that they are actually hurting today’s job seekers. If this feedback were offered to job seekers, they could actually improve their skills and do better the next time. Instead, we blame the educational system, our culture, the economy, and on and on, when we could allow HR and hiring managers to just offer back some helpful advice. Instead we close the door and turn a blind eye to otherwise valuable employees without them having a clue as to why. And “Why don’t they?” you may ask. Simply, they are afraid of getting sued. Just think what it would be like if at the end of an interview we could hear, “Thank you for coming in today to meet with me. May I give you a few helpful hints that may assist you with future interviews?” Bad um bump! How hard is that? Don’t send people back out into the cold job search world without giving them some kind of help to make them better for their next interview. As a culture we have, in my opinion, become so afraid of helping people for fear of being sued, that we’ve stopped doing the right thing in favor of doing the safe thing. In the long (and short) run this ends up causing more harm than good. There are a few things, however, you can do to try and get some feedback from your interview. Contact the hiring manager after you’ve sent your thank you note and followed up (building rapport). Ask if they would be willing to offer you some advice on how you could do better in your next interview. At the end of your interview, after you’ve asked for the job, ask if there are any concerns the hiring manger has about your ability to do the job. While these tips may help you get some feedback, nothing will do as much good as being well prepared for the interview in the first place. Being proactive in your job search will get you so much further than chasing reactive information after you’ve been let down. 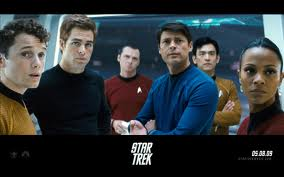 Kirk, Spock, Bones or Scotty; who would you pick to be on your team? I think one of the reasons we love Star Trek isn’t because we get to see one of our favorite actors do what they do to save the world. We watch to see how this amazing group of misfits conquers the universe together. We’ve all had co-workers, supervisors, department heads, or CEO’s that resembled Captain Kirk (whether you’re a Chris Pine or William Shatner fan). All they have to do is walk into a room, and you want to load up your gear and follow on whatever hair brained adventure they have in mind. Why? Because it seems like whatever they do, whatever they touch, turns to pure gold. How do they do it, you ask? Well, I believe it’s because they don’t. They do. Of course by they I mean the ensemble. Captain Kirk, like all great leaders, knows they aren’t an island, although their ego may want to believe it’s all about them sometimes. It takes a team of skilled specialists and a few misfits to save the universe. Don’t believe me? Please name one episode or movie where the mighty Captain alone on the bridge of his flagship saved the Universe. Planet? Person? Anyone? You can’t because he didn’t. He needs the data/information (Spock) to understand all his options. He needs is moral compass (Bones) to keep him from doing more harm than good, and he needs his miracle worker (Scotty) to develop, implement, innovate, or when all else fails, use bubble gum and bailing wire to ingeniously limp the Enterprise out of harm’s way. Every high performing team needs their key players. The group looks towards these people to mobilize the resources to get things done. 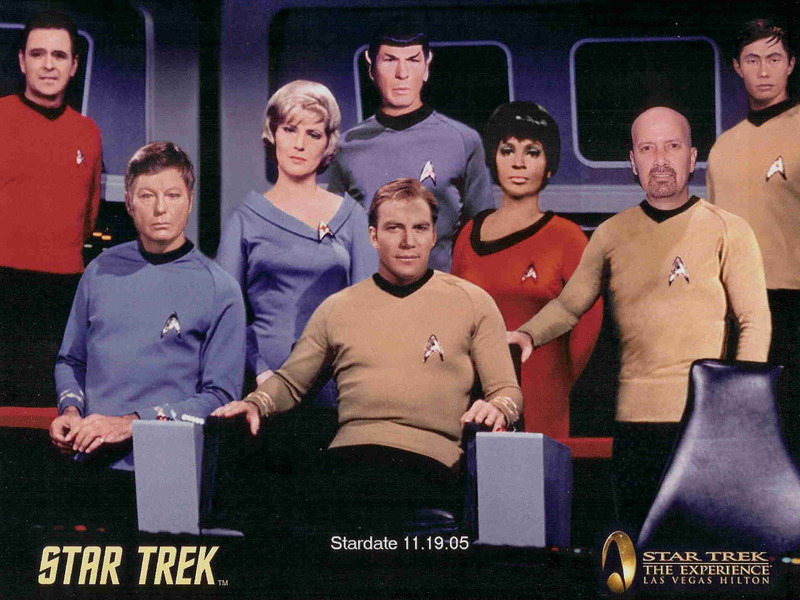 Can you imagine an Enterprise full of James Kirks? What could possibly get done between the ego trips, skirt chasing, fist fights, and distractions? NOTHING! Teams need diversity of talents, ideas, perspectives, and experiences if they are going to be able to fully understand a challenge, obtain the needed resources to overcome it, and have the wherewithal to get things done. So, back to the original question; who would you choose? My answer, none; any one without the other, although an exceptional individual, could not get done by 1/4 what the whole crew could. In the end, one by themself might cause more harm than good.